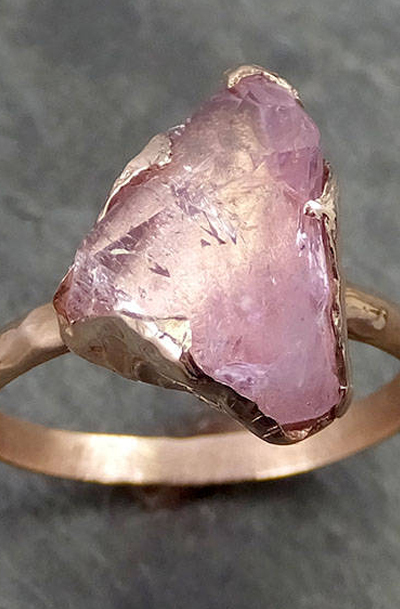 Raw rough and partially faceted Pink Topaz in rose gold with such a dazzling array of rainbow inner light. I hand carved this ring in wax and cast it in solid 14k rose gold using the lost wax casting process. This one of a kind gemstone was cut by my husband. The ring is a size 7 it can be resized. The Pink Topaz stone measures about 12mm X 9mm.